Not to slight the still-quite-lovely Rosamund Kwan, but I almost missed the Cherie Chung video in dleedlee's news link today. Seems the almost-50-year-old Cherie is gracing the cover of Cosmopolitan magazine in Hong Kong for November 2009. Without exaggeration, I can say that she looks just as amazingly beautiful as she did 25 years ago. You can see all the details here and in the video below. Again, dleedlee had it first so hat-tip to him and his invaluable blog! It feels funny reviewing a film that both Brian and Kozo have already reviewed, but I think that, given my recent Cherie Chung phase, I'd be remiss if I didn't review it. Mabel Cheung is the director who made me first look at Shu Qi as a decent actress and not just an on-screen hottie. The director's City of Glass was an early non-action offering in my HK cinema education, and I'm one of the few people who seemed to quite like Beijing Rocks. But, like I said, I'm pretty tolerant of anything Shu Qi is in. Cherie Chung, while cast as a pretty face in a lot of early roles, seemed to have an easier time getting good parts than Shu Qi did and Jennifer in An Autumn's Tale is certainly a good part. I've been watching Hong Kong movies quite diligently for almost 9 years now and yet I just watched 1987's An Autumn's Tale today. To add further irony, this masterpiece of Hong Kong cinema is set almost entirely in New York City. I think I dreaded siting through this thing because it looked like it was going to be one of those "opposites attract" romantic trifles. And while that "opposites" idea is here, this film is so amazingly understated for a 1980's Hong Kong film that I am a bit stunned. Despite some early scenes where the NYC atmosphere is laid on a bit too thick -- not as bad as something like Rumble in the Bronx, but close for a few seconds -- the film uses location in a judicious manner, recalling a simpler version of the Hollywood romance scenes from something like Moscow on the Hudson. The plot, laid out in other reviews, is simple: Jenny (Cherie) comes to NYC to go to school and find her boyfriend. She is assisted upon arrival by slobby distant cousin "Figurehead" (Chow Yun-Fat). I would be lying if I said anything in this plot surprised me. No, of course any reasonably savvy viewer can see where things are going in this film. The surprise and real pleasure come from the way in which the film gets there. If you can get past some of the 1980s distractions, you will be rewarded as a viewer with two of the most natural performances in modern Hong Kong cinema history. Every time I watch a Cherie Chung film now, I recall watching Peking Opera Blues for the first time in 2001 and thinking how dispensable Cherie's cute role was -- how it was just one of those "pretty face" roles and how Brigitte Lin was the real star of that film -- or even Sally Yeh, really. Now when I watch a Cherie film I am always surprised at what a fantastic and natural actress she was. I can think of no other actress from Hong Kong cinema who can use her facial expressions in such a masterful and subtle way. Cherie's eyes -- the way she looks down and then up sometimes, like in Hong Kong Hong Kong -- say everything that pages of dialogue would never be able to say as effectively. She can portray a character thinking, let the audience see the action of her thought process at work -- quite a task for any actress, especially one with a beauty pageant background like Cherie. 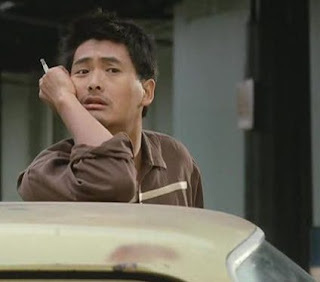 Chow Yun-Fat, as well, is at his peak here. The things that make him annoying to some viewers -- including this one sometimes! -- are used to great effect. While it first seemed like he was playing the character a bit broadly, I gradually understood how much he was underplaying the role. He uses bits of costuming, or his smile, to convey a confidence mixed with a vulnerability that was quite charming. The sequence where he is running on the street near the end of the film before he finds out that Jenny is leaving NYC is just wonderful. Chow Yun-Fat looks every bit the handsome leading man -- matinee idol good looks of an earlier era wrapped in a cheap thrift-store suit on the dirty streets of 1980s NYC. He projects confidence, innocence, a tiny bit of swagger, and a sudden sense of purpose. I think my favorite scene in the film is the one in which Cherie sings a song on the telephone for the little suburban girl she used to babysit. As Cherie sings the simple and touching melody, the camera slowly pans past her and down the steps at a measured pace. Finally, the camera goes into Chow Yun-Fat's room and he leans to the side and stops reading. His expression looks like he can't quite decide whether to laugh, smile, or cry. There's a real joy in this scene that felt so real it was hard to believe it was made in 1987, an era when HK cinema was known more for unsubtle action than simple human emotion. Like I said, the surprises in this film are not the plot points -- those are obvious within minutes of the two leads meeting -- but rather how the film progresses and the emotions revealed. In the 20-minute interview with screenwriter Alex Law, the writer reveals that Midnight Cowboy was an inspiration for this film. And while that movie is one of my favorite 5 films of all time, I think this film is a bit more subtle and less eventful, surely. In the aftermath of films like Midnight Cowboy, Hollywood took a few risks and those pre-Star Wars American films of the 1970s are some of my favorites. Those films felt like the characters were created first and the plot just a device to keep them together on screen for a few hours. And that's true here; we know this story and we probably roughly know how it will end but watching Chow Yun-Fat and Cherie Chung get there is a sublime pleasure. It's worth mentioning the cinematography of James Hayman and David Chung Chi-Man -- NYC looks fantastic and the fall feel of the film comes through in most frames. The sequence near the end where Cherie drives off with her boyfriend and Chow Yun-Fat runs after her and then slows down is just a wonder. I was amazed at how long the shots were in this sequence but the viewer gets to see not just a long scene of longing -- obviously -- but rather a shift in mood in minutes as Chow Yun-Fat's Figurehead goes from despair to resignation. Those emotions in that long scene lead to the final reward of the film and the ending is just about perfect. Yes, a very tiny bit sappy but true to the story and characters and otherwise just right. Sometimes when a film fades out at just the right moment without belaboring a point, I give it a few more points in my mind. If the film had ended on a more obviously romantic note -- characters running to each other on a beach with string-music on the soundtrack -- I probably would have ended up hating the rest of the film. No, An Autumn's Tale's ending is as subtle and nuanced as the rest of the 98-minute masterpiece. I watched the new 2005 FortuneStar DVD -- purchased at HMV in HK recently -- and the picture is anamorphic widescreen and remarkably free of surface scratches. The film clearly looks like a 1980s film but the imagery is crisp and colors very natural. There are trailers for The Killer and Rouge on the first DVD and on the 2nd bonus DVD there is a 17-minute interview with director Mabel Cheung and a 20-minute interview with screenwriter Alex Law. 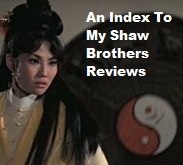 The English subtitles, like those on the film itself, are clear and easy to read without any major typographical errors. An overall HK masterpiece, really. 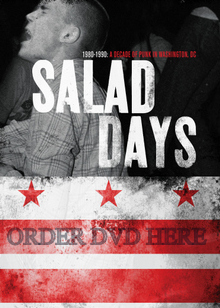 You can order the 2-DVD remastered edition of this film here. I am happy to report that Frankie and The Heartstrings now have a real, official website which can be accessed here! Following my first link to free Frankie and The Heartstrings MP3s, and then my second link to even more free Frankie and The Heartstrings MP3s, I can say that I a fan of the band and I'm getting quite a lot of hits for those links! Anyway, cheers to the lads for their new website -- one less reason for this fan to ever use MySpace again! 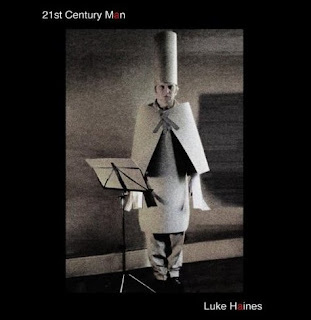 So much of what I love/hate about England has been crystallized by the sharp lyrics of Mr. Luke Haines. When some pathetic history of British rock is written -- as if the art form even needed one? -- his name will be up there with Morrissey and Jarvis Cocker and -- in a generous mood -- certain works of Mr. Albarn. In 1994, I saw The Auteurs at the old 9:30 Club in D.C., then I saw them -- though it was really just Mr. Haines -- on a very snowy Friday night in early 1996 at the new 9:30 Club. And my first night in England was arranged around a performance by Black Box Recorder in London. 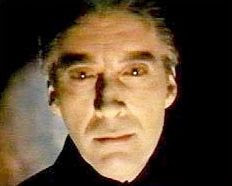 Lyrics about "the end of the world" and "hated Sunday" sung in front of a slideshow of English monsters like Myra Hindley evoked one version of England -- an England as true in its darkness as the England of Ray Davies and his "Village Green". Somehow, Mr. Haines has a new album out and it is already up for order on American iTunes a good week before its official release date -- for once, Americans are blessed! As I make my way through this release, I can sense a similar vibe as his last solo release but, quite simply, if you enjoyed the style of "Future Generation", you'll probably like this disc quite a bit. Unfortunately, the bonus disc will not be available via iTunes but there's time to buy that later. Check out the website of Mr. Haines as well. Seriously, I know I should have better things to do with my time, but I like Facebook and I've met some cool people on there. Last week, my photos were gone -- hundreds from my trip -- and this week my friends list is gone. Every time I add someone new, the whole thing goes haywire. I know it's free but, guess what? I've used the same *free* Hotmail account for more than 12 years now and it's never had any problem like this. Maybe this blog post will get a few hits since I can't be the only one searching on "Why is Facebook broken?" or "Why doesn't Facebook work?" (Today)! I didn't score any shots of Shu Qi (though you can see her in NYC's Chinatown on the poster), but here are a couple of images from new anthology film, New York, I Love You, opening October 16, 2009 in Washington, D.C..
Chinese director Jiang Wen directs a segment and, after his visually compelling-if-somewhat-diffuse The Sun Also Rises, as well as his acting turns in things like Green Tea, I count myself a fan and I'm now eager to see what he can do in an anthology film with well-known Western actors. 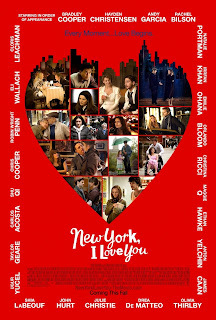 Read more about the New York, I Love You on the official website here. This 76-minute film started promisingly enough but, unfortunately, The Casino quickly descended into a standard kung fu picture. Of course, when the beatdowns are being served by Yueh Hua, it's probably still worth watching, right? Lily Ho stars as casino owner, Miss Cui -- the subtitles never indicated a first name. Enter Luo Tianguang (Yueh Hua) who, in a clever sequence, proves himself to be an almost supernaturally good gambler which may be due to his unique ability to hear the dice as they are rolling under cover. Not only that, Tianguang roots out master cheater, Hao Lishan (Shek Kin). Luo Tianguang reveals himself to be the man that Miss Cui has been betrothed to by her family and so the two start to discuss marriage. However, Tianguang almost wants Miss Cui to close the casino for moral reasons which is sure to anger the many people making money from the place. Feng Chen from the The Human Goddess plays Yueh Hua's friend, Lun Liu who enters the picture at about this time. Shaw stalwart Fan Mei Sheng plays the crooked Captain Fan who gets involved in the action as enemies grow around Luo Tianguang. And -- SPOILER -- Lily Ho's character gets murdered mid-way through this thing as well. That plot point kind of robbed me of some of my interest in the picture as the fighting intensified. 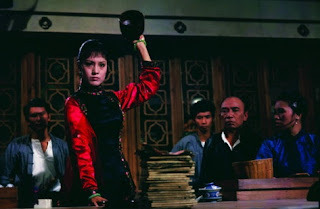 But, like I said, Yueh Hua is a great performer and the fight scenes are brisk and expertly framed and shot. The score also had some nice touches. On the whole, an average -- maybe rushed? 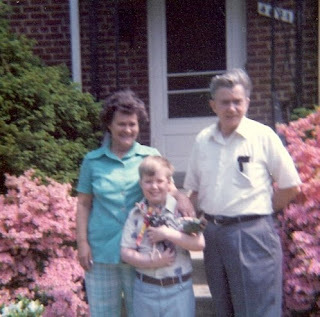 -- picture from the Shaw Studios, circa 1972. You can order The Casino on DVD here. I'm guess I'm lucky to have seen Robyn Hitchcock live two times in his prime -- well, not really his prime if you are a Soft Boys fan, I suppose. The first time was in the summer of 1988 when he opened, solo, for 10,000 Maniacs. 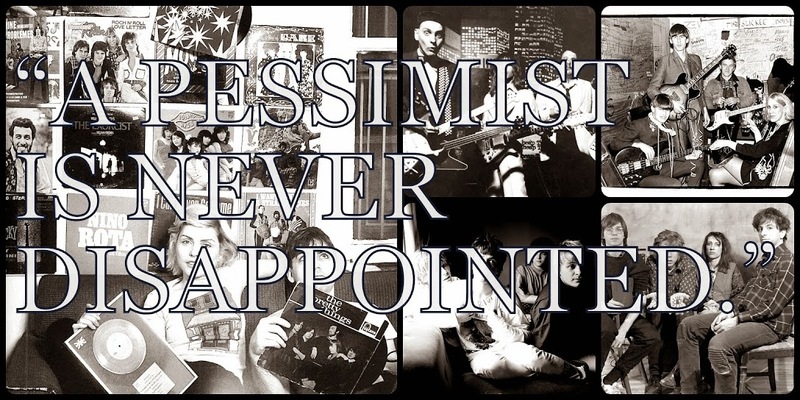 Now, before I rip into that band let me say that I loved their early releases, notably the pre-Elektra Records stuff, as well as their major label debut, The Wishing Chair. However, even as early as 1988, they were getting a little bit precious, a misguided cover of "Peace Train" not helping dispel that image. So, a guy I knew from Waxie Maxie's (who would later briefly work at The Record Co-Op thanks to a recommendation from me) met up with me and we met up with a friend and her friend at the show (one of these girls would end up in Velocity Girl, Unrest, and Air Miami but that's name-dropping and another story!). Robyn Hitchcock is one of those guys who sounds just as good solo as he does with a full band and he ran through a set of his "hits" for a thin crowd of jaded do-gooder types. Even in the summer of 1988, as a new fan, I knew that he really should have been the headliner and not the opening act for this gig at the Warner Theatre (I think). I recall vividly a segment of the concert where Natalie Merchant sat down at the piano and pretended she was Laura Nyro. The pretension and preciousness got the better of me and I faked a coughing fit just to annoy people and break the hushed silence during her song intros. A few years later, I'd feel the same annoyance while watching Laurie Anderson at the Lisner, even seriously contemplating throwing my umbrella onto the stage during her gig. I didn't but I've regretted not doing it ever since. In 1989 Robyn Hitchcock and the Egyptians released Queen Elvis on A&M Records. The A&M college rep. was in a local band (Frontier Theory) and he was a pretty good friend of The Record Co-Op. So I got free tickets and one of my best friends was offered the second one but he chose to go to Ocean City for a weekend of partying instead. My other good friend, the de facto assistant manager of The Record Co-Op, rarely went to live concerts in those days -- he was already as jaded as I would become -- so I went alone. The concert at Lisner was decent -- I cannot remember the opening act -- and Robyn had a nice little stage set up with props, a phone box like in the video below, and a few other bits. I still recall some middle-aged fan in my row yelling out for "Uncorrected Personality Traits" between all the songs -- the alt. rockers' "Free Bird"? That's one of Robyn's most famous songs which it was a cinch he would perform live. However, I hated that song as it relegated a genuine talent to the status of novelty act. 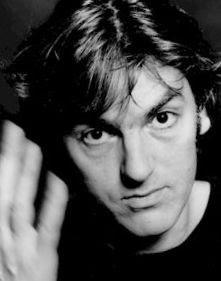 A similar fate happened to XTC after "Dear God" was a surprise alternative radio hit and the band were simply a one-hit wonder act according to the only stations that would play them in this area. So the A&M rep. took me backstage at Lisner where I had only two years previously snuck backstage at a Husker Du concert with a guy from Tower Records who was in The Meatmen who knew one of my best friends at the time. Robyn Hitchcock reminded me of John Cleese and he seemed dangerously tall. I don't want to give the impression that he was rude but he was a bit...odd. As he was introduced to me and he leaned into my face -- like the "close talker" on Seinfeld -- I suddenly thought: "Geez, maybe it's not an act? Maybe he is as weird as he seems?" In those days, I rarely got a picture with any of the rock bands I met and I almost never asked for an autograph, preferring instead to meet the people and have some sort of conversation with them rather than just be the sort of idiot fan who is simply looking to pad a library with trinkets. But, looking back 20 years, Robyn Hitchcock is an artist who has managed to continue his career on his terms for nearly 30 years now and I think maybe a picture of me looking up at his British mug would have been a pretty funny thing to hang on the wall. I'm now off to play "My Wife and My Dead Wife" -- the live version.